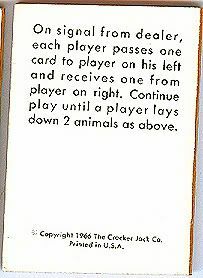 The paper pieces measure 1 1/4" by 1 3/4"
Well, what you have there is almost a complete set of cards from the Cracker Jack card game ZOO ANIMAL for 2 to 4 players which came in book form. 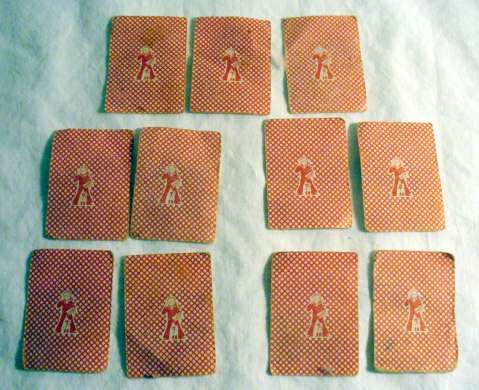 It is from a Cracker Jack Prize set of 20 different card games dated 1966. There are 16 cards total in the game so 8 animals to make. 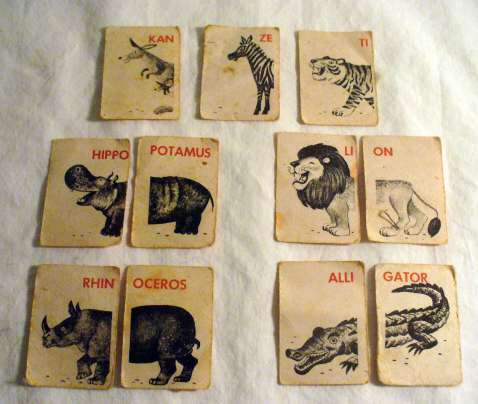 The animals are: ZEBRA, HIPPOPOTAMUS, RHINOCEROS, ALLIGATOR, KANGAROO, ELEPHANT, LION and TIGER! Sailor Jack and Bingo are on the back of each card in the game. The condition of the cards tells me someone enjoyed playing this card game many times! 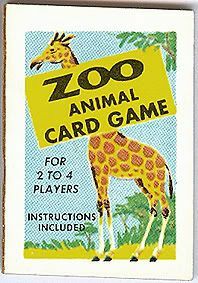 Luke, I think you should bring your zoo cards to the next convention. They would be a great happy hour activity. We could have a little drinkie and play a little cards. What fun! 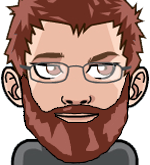 dianep2 wrote: Luke, I think you should bring your zoo cards to the next convention. They would be a great happy hour activity. We could have a little drinkie and play a little cards. What fun! The cards belong to someone else, and I believe will be shortly on eBay. I received an e-mail yesterday from someone asking about them. I didn't know the answer, but I knew where to look. Would this prize come in a box of Cracker Jack, or was it something sold separately?